Can Antispasmodics Help Relieve IBS Symptom? The Centers for Disease Control and Prevention estimates that as many as 1.3 Americans suffer the symptoms of irritable bowel syndrome (IBS), a functional gastrointestinal disorder which causes abdominal pain and changes in bowel habits. As researchers have yet to identify the cause of IBS, treatment is primarily aimed at relieving the symptoms of the disorder (including abdominal pain, cramping, bloating, diarrhea, and constipation). 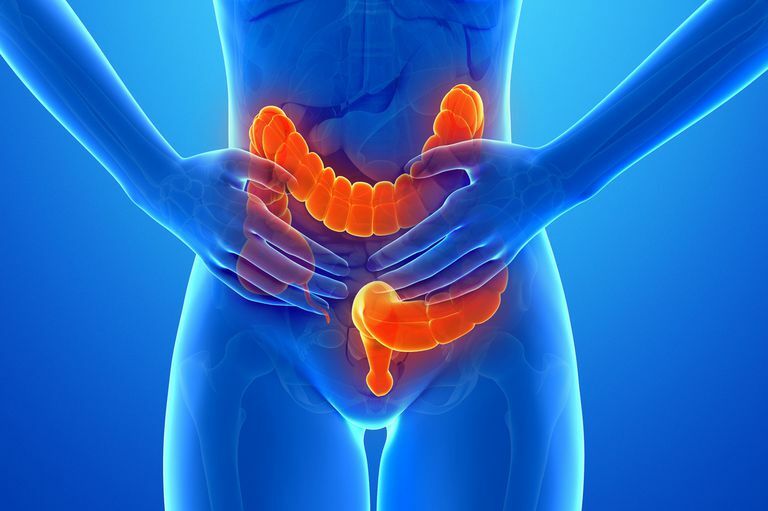 Among the various drugs used to treat IBS, antispasmodics have proven moderately effective in alleviating symptoms by targeting and relaxing the smooth muscles of the digestive tract. Since the symptoms tend to be most profound after a person has eaten, the drugs are typically taken 30 to 60 minutes before a meal. Anticholinergics are a class of drug designed to block the compound acetylcholine. This is the chemical produced by the body that acts on the autonomic nervous system (the part of the nervous system associated with involuntary functions). By blocking acetylcholine receptors in the digestive tract, anticholinergics can decrease the severity of muscle spasms and the overproduction of mucus. Unfortunately, the drug can also affect other organ systems, triggering side effects ranging from blurred vision and constipation to decreased urination and dizziness. Due to the risk of constipation, anticholinergics are best used in cases of diarrhea-predominant IBS (IBS-D) rather than constipation-predominant IBS (IBS-C). Gastric reflux is also a common side effect. Mebeverine is a musculotropic spasmolytic that works similarly to anticholinergics but does not have the acetylcholine side effects. Allergic reactions have been reported in some, mostly in the form of low-grade rashes. Mebeverine is commonly prescribed to people with IBS and is available under many different brand names including Colofac, Duspamen, and Duspatalin. Peppermint oil is an over-the-counter supplement that contains menthol, a substance which appears to have a relaxing effect on smooth muscle. A 2015 review of studies by the University of California, San Diego concluded that persons with IBS symptoms were nearly three times more likely to achieve relief with peppermint oil compared to those provided a placebo. While considered safe for short-term use, peppermint oil is known cause heartburn (a situation which may be avoided with the use of enteric-coated capsules). Be sure to consult your doctor before taking peppermint oil or any other over-the-counter supplement. Peppermint oil should be used with caution in people with heartburn, hiatal hernia, severe liver damage, gallbladder inflammation, or bile duct obstruction. Increase dietary fiber or use a fiber supplement to relieve IBS constipation or diarrhea. Increase water intake if constipated. Avoid legumes to decrease bloating. Limit foods containing lactose, fructose, or FODMAPs (fermentable oligosaccharides, disaccharides, monosaccharides, and polyols). Take a daily probiotic to maintain healthy digestive flora. Centers for Disease Control and Prevention. "Epidemiology of the IBD." Atlanta, Georgia; updated March 31, 2015. Ford, A.; Moyyadedi, P.; Lacy, B. et.al. "American College of Gastroenterology Monograph on the Management of Irritable Bowel Syndrome and Chronic Idiopathic Constipation" Amer J Gastroenterol. 2014;109: S2-S26. DOI: 10.1038/ajg.2014.187. Khanna, A.; MacDonald, J; and Levesque, B. "Peppermint oil for the treatment of irritable bowel syndrome: a systematic review and meta-analysis." J Clin Gastroenterol. 2014; 48(6):505-12. DOI: 10.1097/MCG.0b013e3182a88357. What You Can Do to Help Every One of Your IBS Symptoms? Can Peppermint Oil Help Your IBS?